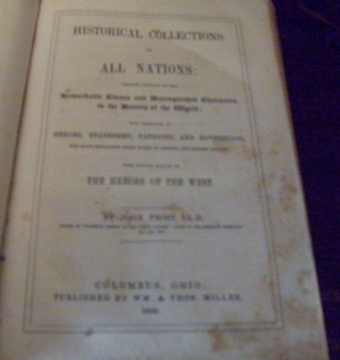 A friend of mine recently asked me to put this book up for auction on eBay for him, with a starting bid of $19.99: Historical Collections of All Nations by John Frost, Columbus, 1852. We would split the proceeds. 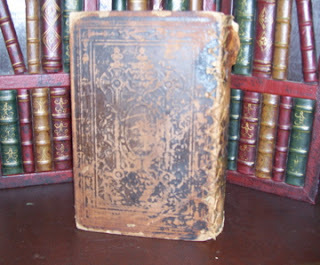 There were three copies of this book listed for sale on the web –– excluding PODs, of course: An 1852 edition for $285, an 1854 edition for $115, and an 1857 edition for $250, all of which were in better condition than this copy. 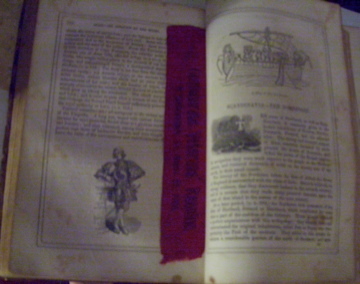 I thought about rebinding the book, but decided it was better to preserve what was left of the original binding. A former owner had kept the book together by sewing the covers to the spine. I soon found out why! I had two more names to research: M. C. Slusser and J. B. Slusser. But first I wanted to finish taking my pictures. Flipping only a few more pages, however, brought me to a screeching halt! I knew instantly that this Christiansburg, Va. Confederate Veterans' Reunion Ribbon was probably worth more than the book itself. I notified my friend of my findings. And we discussed selling the ribbon separately. 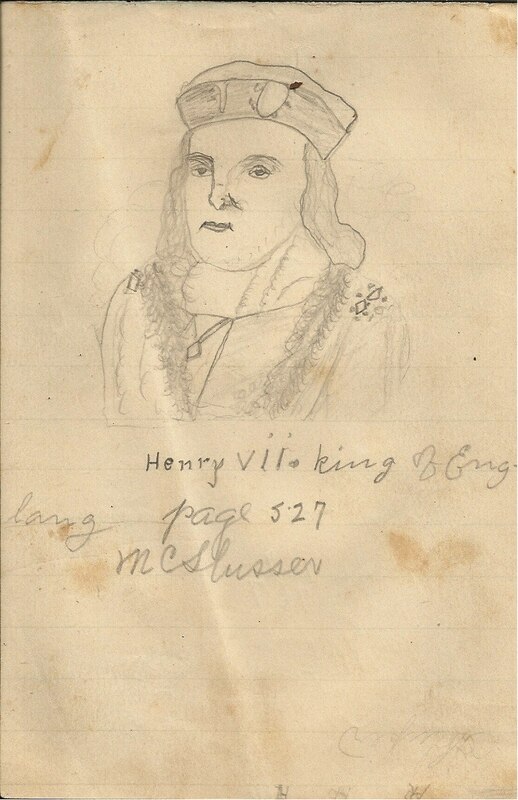 But then I got to thinking. . . .
Everything might be worth more together if I can trace the history of the book, identify its former owners, and discover their link to the Confederate Veterans' Reunion Ribbon. Welcome to Biblio Researching 101! The Slusser family owned a coal company store, supplying coal for the residents and businesses in the Blacksburg area. 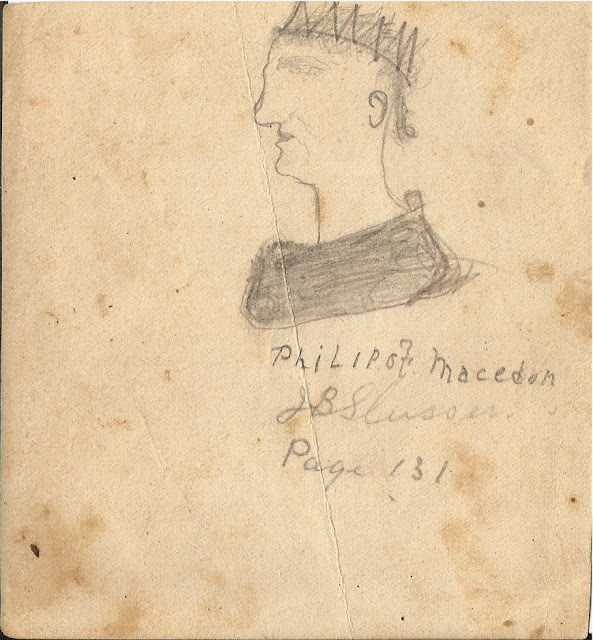 The Virginia Tech Library has special collections of the Slusser Business Papers and the Slusser Family Papers. The Slusser family owned and operated a coal mine in Blacksburg, Va. from 1840 to 1950. Knowing their full names, I was then able to search for and find the gravestones of most of the Slusser Family. Uncle Murry was Murray Custis Slusser (1872-1964). J. B. Slusser was Judson B. Slusser (1881-1906), Uncle Murray's brother. John C. Hardwick was John Cecil Hardwick (1895-1912). And John H. Slusser (1840-1909), on whose tombstone are the words "Confederate soldier," was John C. Hardwick's grandfather. 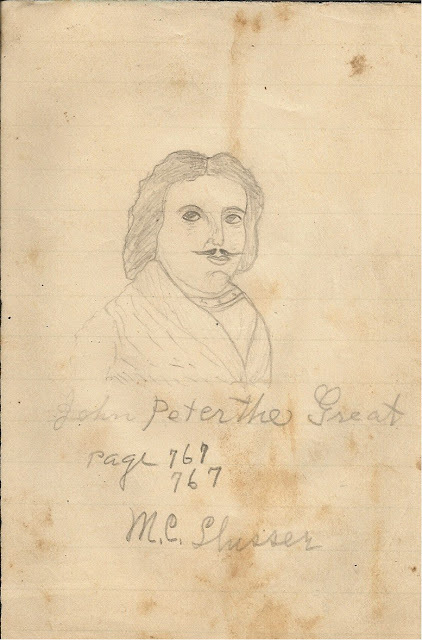 John Cecil Hardwick was a student at Virginia Polytechnic Institute. And Virginia Tech has a Hardwick Family Collection as well. 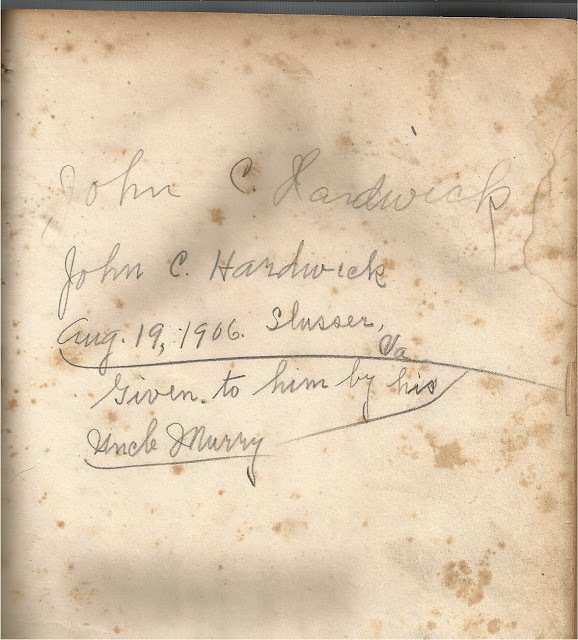 John C. Hardwick was the one who attended the Confederate Veterans Reunion at Christiansburg, Va. on August 22, 1906, probably with his grandfather, the Confederate veteran, John H. Slusser. 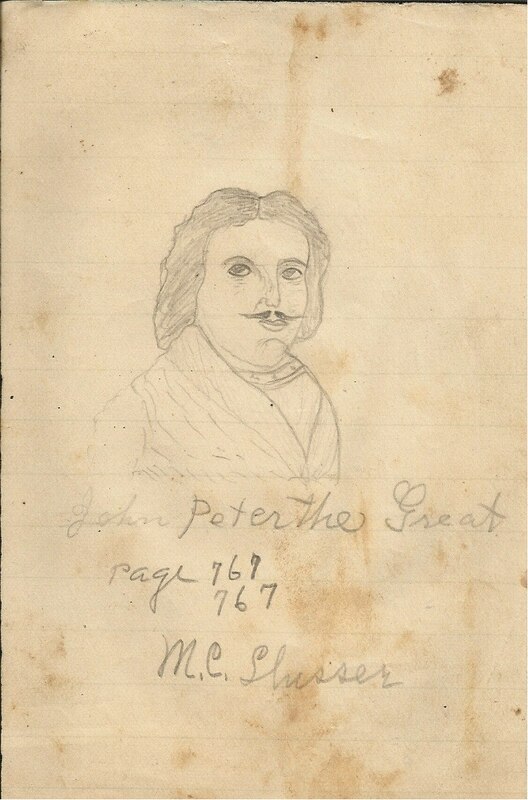 Dr. John B. Slusser (1802-1885), J. C. Hardwick's great-grandfather, was probably the original owner of this book. John Harvey Slusser (1840-1909), J. C. Hardwick's grandfather, was probably the next owner of the book. 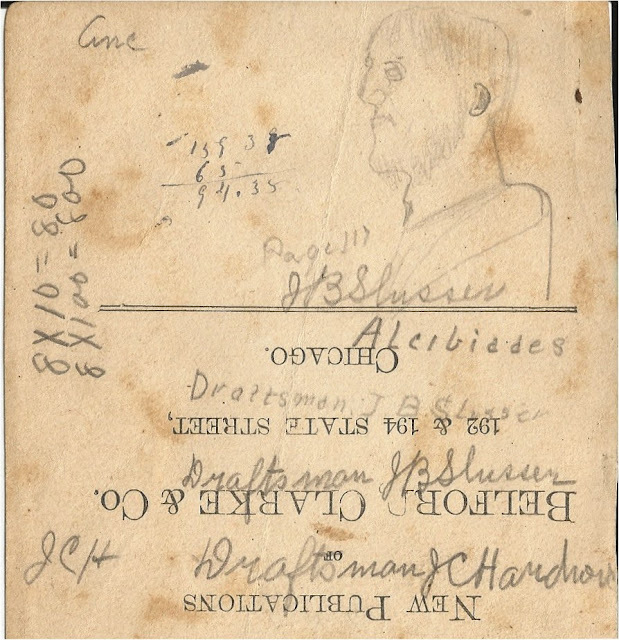 Murray Custis Slusser (1872-1964), J. C. Hardwick's uncle was the next owner of the book. 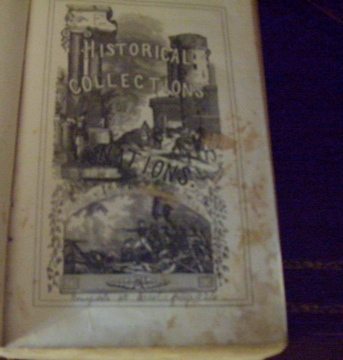 John C. Hardwick (1895-1912) was the last recorded owner of this book. 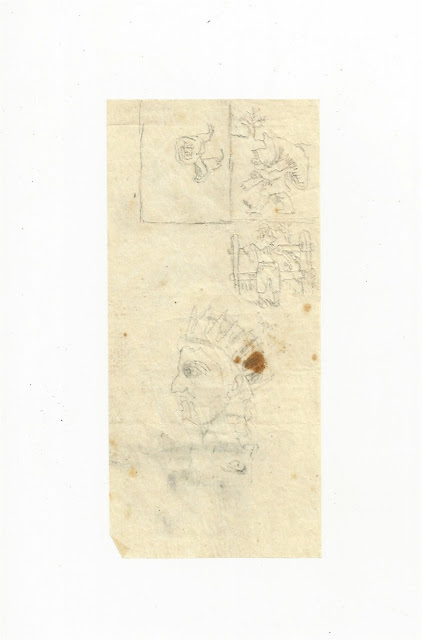 I should note that the Slusser pencil drawings were drawn no later than the 1890s, and most likely earlier. 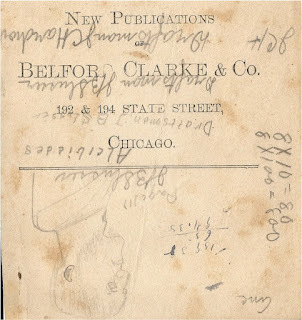 Several sources on the web cite the publishing history of Belfor, Clarke & Co. to be from 1875 to 1892. And now to see who wants this book, pencil drawings, Confederate Veterans' Reunion Ribbon, and all. . . . Or maybe I'll sell the ribbon separately. . . .
Update: I'll be selling the book and the ribbon separately on eBay, probably listing them the first week of June.